Profile: Upcoming Kwaito Star sensation Lebogang “Tshasaboi” from Soweto. Lebogang Mokoena, known as TSHASABOI, is an upcoming South African Kwaito artist, song writer and producer. He was born on the 23rd of April in 1990 in Dube Soweto, South Africa. He discovered his passion for music at the age of 13 years through being inspired by some of our kwaito local musician. He has always known that music was his passion and thrived to become a performer and make a career out of music. TSHASABOI started performing with a group called Dollar squad back in 2006. He then left the group and worked with another group called Loskop in 2010. He recorded his 1st song while he was 16 years old. His role in the group was not limited to being a vocalist; he also contributed immensely in the song-writing and the development of music itself. After spending time with these groups and gaining experience and performance confidence, he decided to pursue his music career as a solo artist. He joined a local group called Crazy percussions, that is where he fuelled his career and gained more performance confidence in terms of audience engagement, stage utilisation, sharing stage with other fellow musicians etc. He has performed over 80 performances in 2014 alone and this has shaped him into this energy driven performance artist this country will enjoy. 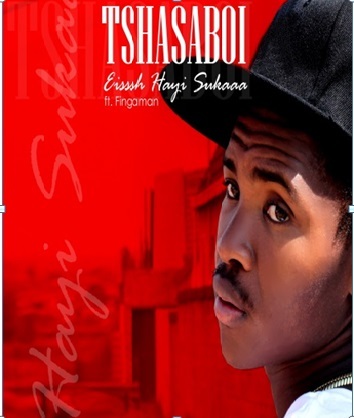 After few years of trying to find his own sound, Tshasaboi eventually came up with a single called “Eish Hayi Sukaa”, featuring DJ fingaman. The song is currently being appreciated by his fans and receiving a lot of air time from west side FM. He is currently in studio recording his third single. A bigger part of his career in 2015 is to establishing himself as a brand; introduce himself to a much bigger South African music audience. Part of this career launch was to formally drop his single as a fully-fledged kwaito artist. The single is currently available on ITUNES and will also be available in other music platform such as google music, Spotify, eMusic, Amazon, Rhapsody and beats music in the three weeks. Tshasaboi is currently busy with creating more awareness around the song, doing radio campaigns and making sure that the necessary hype is created within the correct target market. It’s time for an upgrade from annoying cables and stand out from the crowd with FLY Wear SA‘s innovative Bluetooth multi-functional headwear. Previous Post Profile: Sowetan Kasi-Rap Pioneer Taolo “K4″‘s biography and upcoming album.